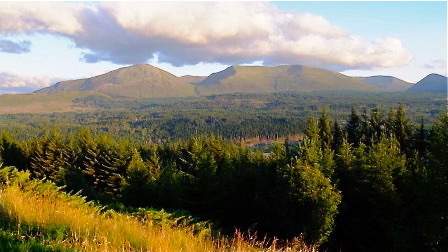 Research on plots in Sutherland by Stroud et al showed wading birds, particularly Plover and Dunlin, were barely seen within 400m of forest plantations. Inability to control foxes in and around forest plantations will worsen 'edge effects' for endangered wading birds. SGA Chairman Alex Hogg said: “Our members require to be able to use foot packs in order to control foxes in areas of dense and often impenetrable forestry. This helps to prevent predation of ground-nesting species. “We feel that Lord Bonomy’s report is a balanced attempt to provide greater accountability and clarity around the law and we have no problems with increasing transparency. “From an operational perspective, however, we would hope Scottish Government do not apply vicarious liability to a landholder who permits such activities on her/his land. “It is often essential to have access to fringe or neighbouring land to get to an area where foxes are numerous. Due to the lack of predator control now on Forestry Commission land, where much of the predation problems stem, fear of prosecution may prohibit Forestry Commission from allowing fox control on their land. This could have a serious impact on ground nesting species which are currently under heavy predation pressure.